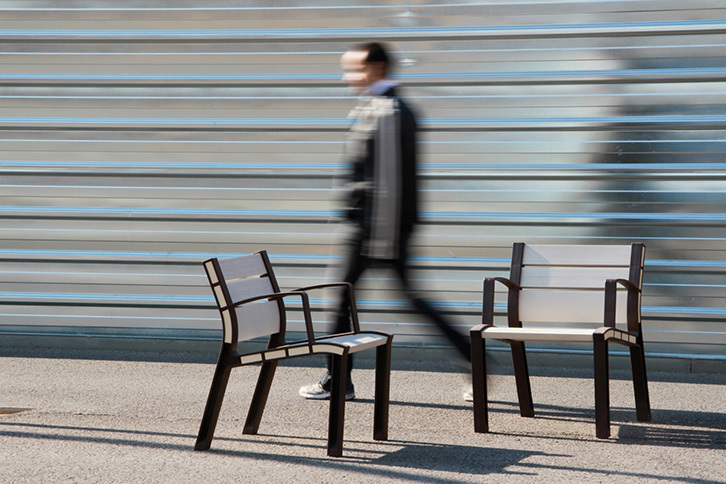 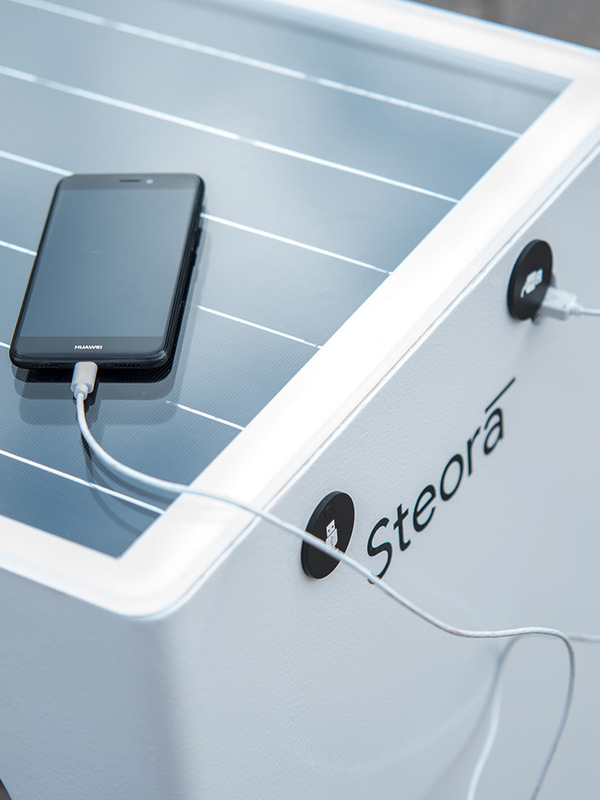 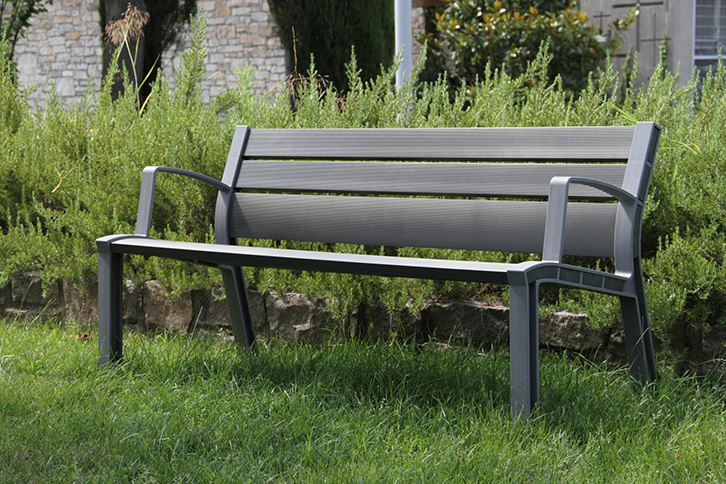 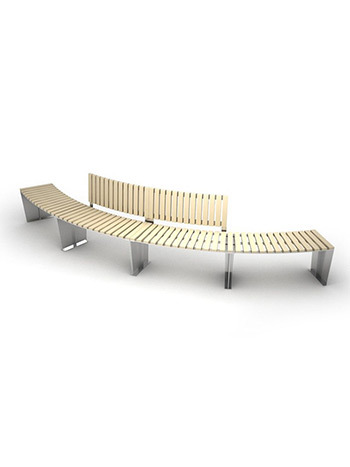 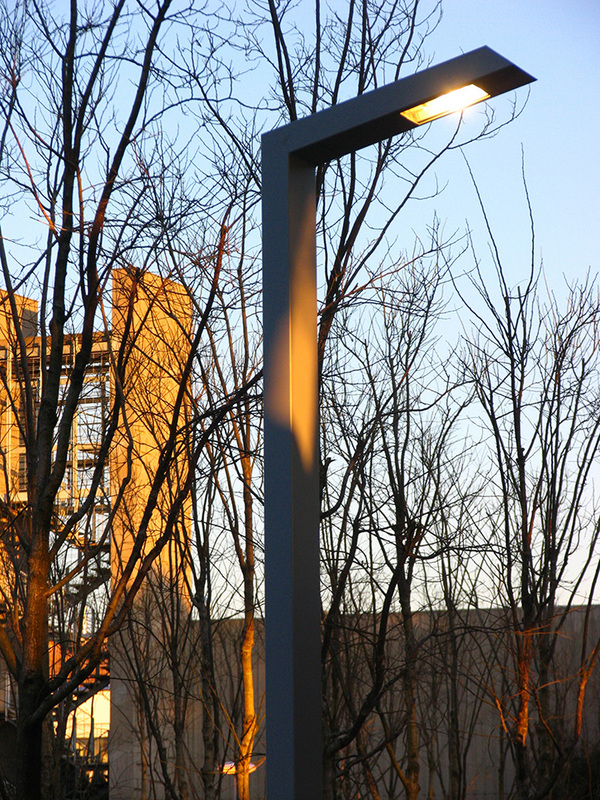 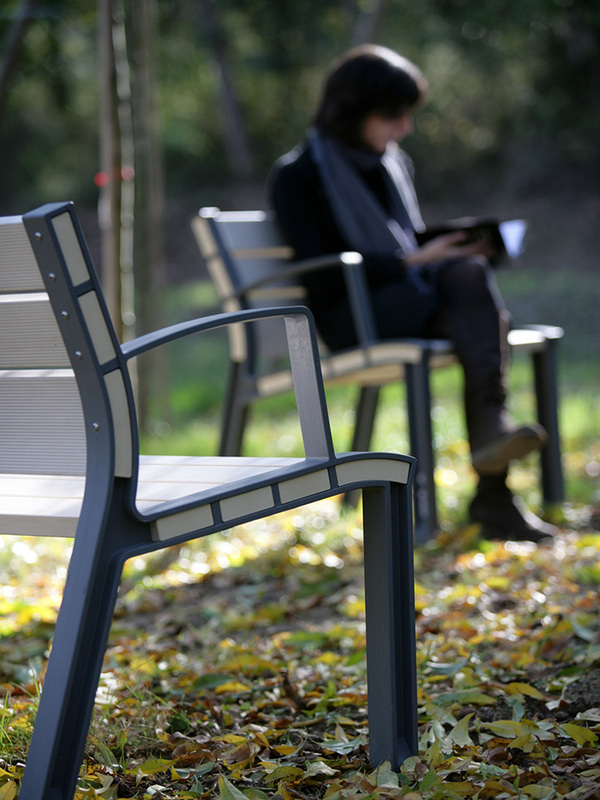 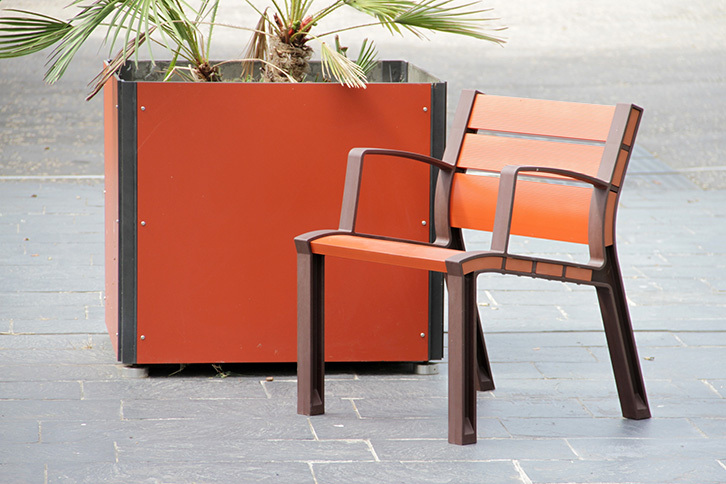 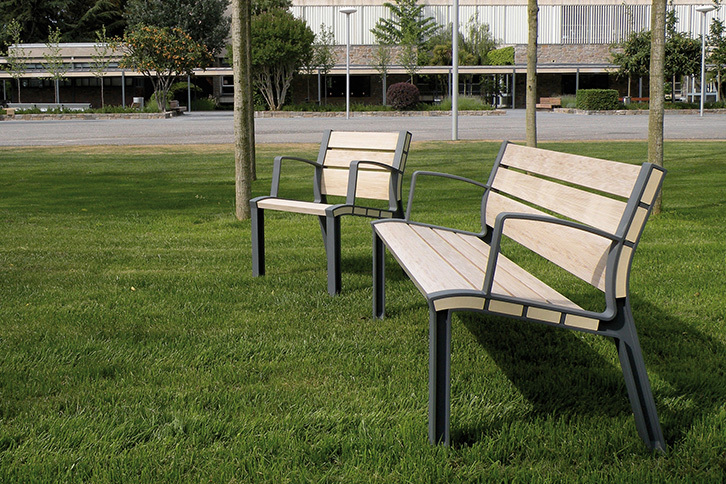 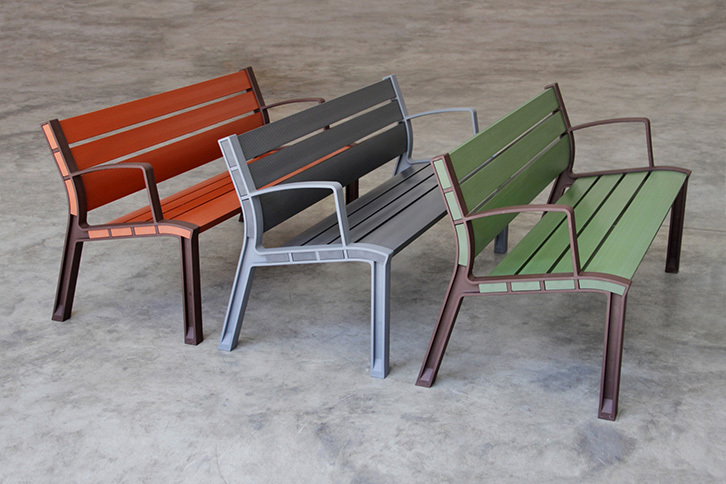 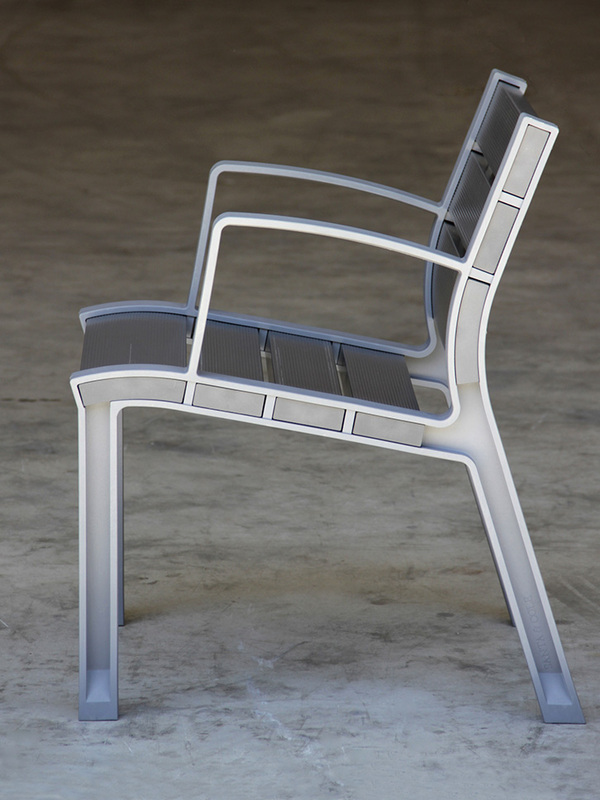 The slat and structure materials of this piece have been fully updated to use recycled and recyclable engineering polymers, which are more resistant to corrosion and aging, completing the extensive family of NeoRomántico benches. 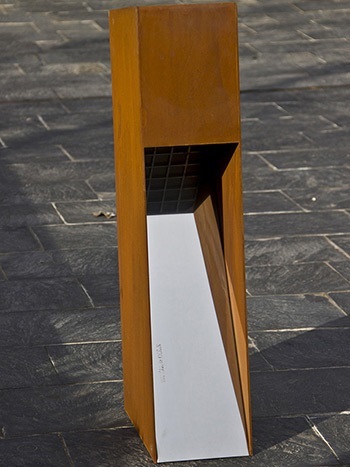 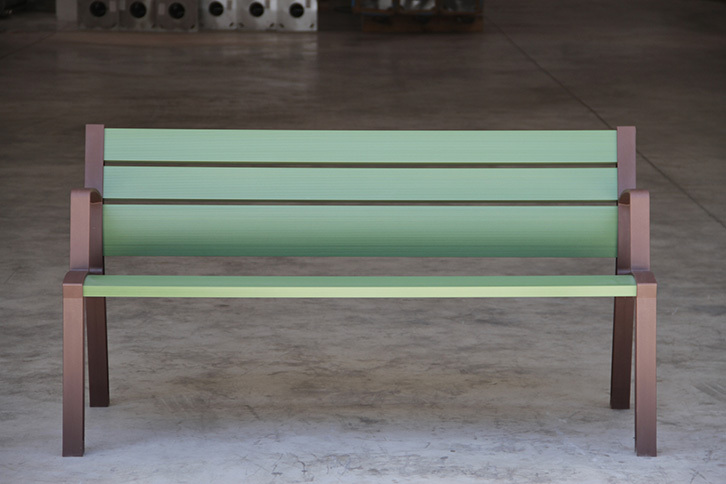 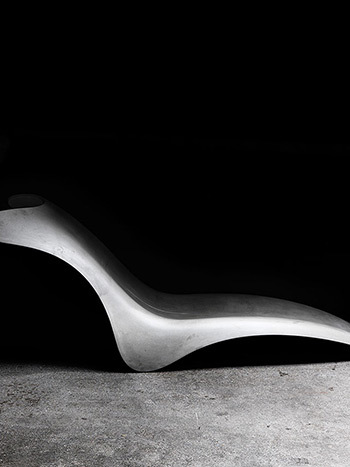 As the main change to the NeoRomántico Color bench is in the materials used, the result is a slight variation in the structure and length of the average bench, creating a subtle and attractive renovation without altering the ergonomic profile of the NeoRomántico bench, which has been so popular over the years. 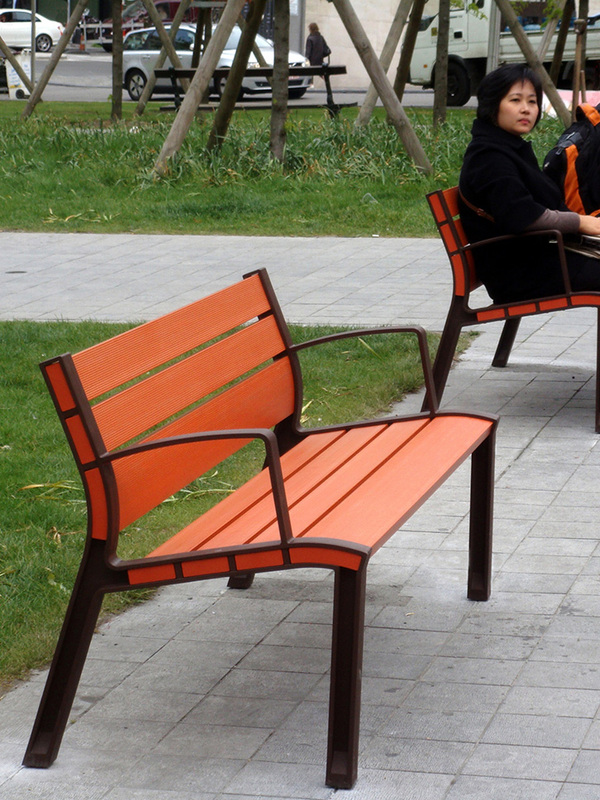 Polymers afford an extense array of colours and combinations.